How can technology be used in each stage of the writing process? Let's explore creative resources for writing prompts; planning and drafting compositions; revising, editing and giving feedback; and ultimately publishing student work for the world to see. Once you have signed in, please follow the Padlet directions in the next step. Follow this link to Padlet to share an activity you use to teach any part of the writing process. An easy way to create intriguing writing prompts. Idea generators, random conflicts, word count, readability...all around tool for writing. Creativity stuck in park? 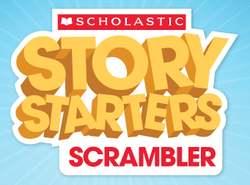 Use these Story Starters (organized by grade level) to get going and get your class writing. Easily create graphic organizers to show relationships, flow and organization of any composition. Give your class a topic and let the brainstorming begin! Gather all your students thoughts in one place to have a resource for writing. Before revising, engage your students by showing how it is an important part of the writing process. Shorten the time it takes to give feedback to your students on their writing. Set up a collaborative writing space with chat and give feedback instantly. Few things motivate students more than knowing that REAL people are actually going to read THEIR writing. Create free, safe blogs with KidBlog. Another safe blogging site, for older students to have a chance to share their thoughts with the world. Cite sources in APA, MLA, Chicago and more. Now that you have voted on your top 4, let's look at how to use these in your classroom with the technology you have available.